a shrub native to the mojave and sonora deserts, jojoba oil is distilled from the seeds in the fruit the plant produces. the oil, which is classified as a wax, has potent emollient properties and acts as a natural carrier for other essential oils. 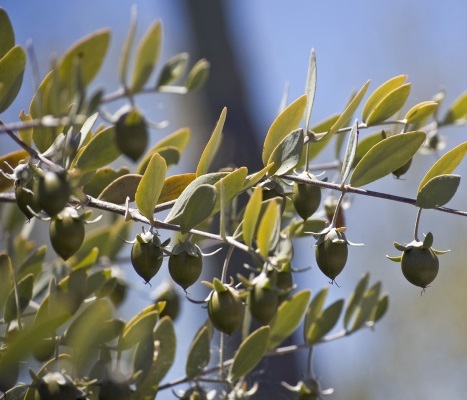 benefit: jojoba oil is remarkably similar to the oil produced by our own glands, making it easy to absorb and creating protective layers that seal in moisture. often used for skin care to treat stretch marks, sagging skin and wrinkles, jojoba oil contains sun protectors and can additionally be used to treat damaged hair.